Those Bargain Timeshare Getaways. What's The Catch? If you don’t mind spending a few hours attending a slick timeshare presentation, then go ahead. Cheap getaway offers are golden for timeshare resorts because they often come with an obligation for the participant. Every year tens of millions of families take advantage of free or ridiculously low-priced overnight resort visits promoted by timeshare companies as ‘getaways’ and referred to in industry jargon as ‘mini vacations’. It is not uncommon for timeshare sales volume resulting from these mini vacations to constitute a major portion of a resort’s overall sales volume. As you might expect, they are elated by this. Over the years timeshare marketing and sales strategies have become very sophisticated indeed. Drawing on these historical lessons, most mini vacation campaigns begin with an offer specifically designed to appeal to the upper middle-class segment of the travel-appreciative population. Why is it directed to the upper middle-class? First, with average timeshare prices hovering around $15,000, a lower-income group might not have the affordability and second, because history shows that this group is most likely to possess the magic combination of affordability and acceptance of the timeshare ownership concept. Most affluent people are not actively solicited because they simply do not respond well to discounted mini vacation offers. And when the affluent do respond they often look upon timeshare ownership with disdain. So their purchase levels (closing average in industry jargon) are much lower and cost ineffective to timeshare companies. That is why, except for limited specifically targeted programs, resorts spend the bulk of their marketing dollars targeting the upper middle-income demographic. Typically, a mini vacation promotion is referred to as either hooked or non-hooked, with hooked being the most prevalent. Both types require the participant to meet basic participation requirements. The hooked requirements will be very specific (thus the ‘hooked’ moniker) while the published non-hooked requirements may be vague at best. The non-hooked are sometimes referred to as ‘soft’ hooked packages. The hooked offer may have very specify participation requirements. It may require that you be a married homeowner with a minimum household income of over a certain amount. And it will definitely require you and your spouse to attend a sales presentation during your stay. Timeshare companies want only visitors who meet their qualifications. Participation requirements are normally presented up front is to assure that the majority of responses will only be from qualified individuals. Of course the non-hooked offer usually creates a larger number of inquiries. In either case the sole purpose of the promotion is to produce qualified prospects. The non-hooked offer will appeal to a broader audience, with many failing to meet the normal participation requirements. By design this will create a higher volume of inquiries than the hooked. But there is a secret and powerful success formula awaiting the caller at the resort end of the reservation line. Resorts cannot afford to provide low-cost mini vacations to families who do not meet the basic qualifications or do not agree to the presentation. So a highly trained ‘reservation’ department is charged with the main objective of converting that non-hooked caller into a hooked one. Here’s how. 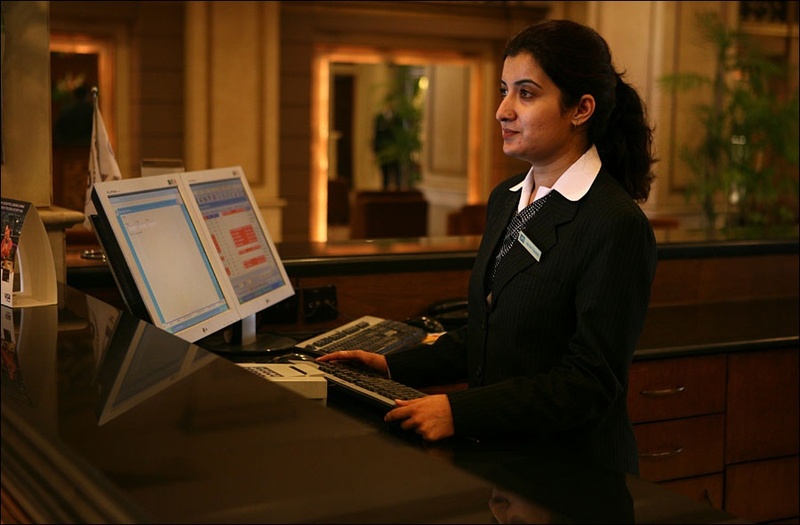 When a non-hook reservation call is received the reservation team springs into action with a warm welcome and a series of carefully worded questions designed to determine if the caller meets the resort’s normal qualifications. If they do, then an attempt is made to hook them for a presentation. Most reservationist are paid a bonus to convince the caller to take a timeshare tour. How it is done varies by resort but it is common practice to offer incentives to take the tour in return for dinner or show tickets. Even free accommodation upgrades or extended stay offers may be made. The reservation team might even claim that the time period requested is ‘sold out’ for that promotion but, as it just so happens, that there is ‘one’ executive unit remaining that only requires a commitment to attend the presentation. If that doesn’t work there is usually a second conversion attempt made when you check in for your stay. The parking pass ploy. The most common tactic used to set a tour appointment. Here’s how. After you get your room key you’ll be directed over to the ‘concierge desk’ to get your parking pass. There you’ll be invited to receive a great welcome package, often including free attractions tickets, for taking the timeshare tour. Then expect several voice mails on your room telephone and an attempt to book you every time you walk through the lobby. It’s just business. After all, you are getting a ‘bargain’ vacation aren’t you? But what if you don’t meet the qualifications? Callers who do not meet the qualifications (tactfully determined by those carefully worded questions from the reservation team) are likely to find that accommodations for the requested time period are ‘sold out’. It’s all about the tour. If you don’t meet the qualifications and commit to the presentation, your odds of getting your preferred date is minuscule. It’s not that you won’t be able to take advantage of the offer; only that you may not get first or even second choice of dates. Major timeshare developers today are much more attuned to public perception than their predecessors.They don’t want the scrutiny that may accompany their refusal to honor the offer to a guest. But every honored package costs the resort hundreds of dollars. So they are professionals at offsetting these costs through the sale of airfare, upgrades, attraction tickets and extra nights. And what about those vacation certificates that the resorts give you in return for taking a tour? Well, when you redeem those certificates you may be subjected to the same ‘hook’ and ‘non-hook’ processes explainer here. Sorry. Read the fine print. And enjoy yourself on that tour.